The Transaction Group (TTG) is the #1 choice for credit card processing for dry cleaners throughout the United States. Since 2004, TTG has been helping dry cleaning stores and laundry services get set up with merchant account services. We know you have many choices when it comes to merchant account providers. At TTG, our goal is to establish long-standing relationships with our merchants. That’s why we take the time to understand the specific needs of your dry clean business and offer the lowest rates possible. With TTG, there are no long-term contracts and never any hidden fees. Give us a try and give your customers the convenience and service they expect. You’ll be surprised at how low our rates are. Do you operate a cash only laundromat? You may want to reconsider. These days fewer people prefer to pay with cash. There’s no question that cash can be cumbersome, especially change. Debit and credit card processing at coin laudromats reduces the service frequency for change machines, ultimately saving the business money. Also, cash only businesses carry higher security risks. If you own a dry cleaner business, give yourself peace of mind with a TTG merchant account solution. Not only will you simplify your sales tracking, you will see a boost in sales. Do you already have credit card processing at your laundry service but are getting taken to the cleaners with high rates and fees? Let TTG give you fresh start. We offer a FREE RATE ANALYSIS that will show how you can save you as much as 20% on your current rates and fees. Simply email your most recent statement to sales@thetransactiongroup.net or fax them to 312-896-5628. We will get back to you in 1 business day with a detailed report of potential savings. Ready to sign up? Just click ‘Apply Now’ to start your application. Do you prefer to speak with someone directly? No problem. Call us today! 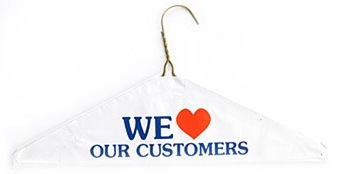 We look forward to saving you money at your dry cleaning business.